Connecting regular speakers to the computer, usually not particularly difficult. But connecting the speaker system has a number of difficulties and few solutions. For a successful connection is acquainted with the technical capabilities of the sound card. Determine how many inputs or jacks has sound card of your computer. Depending on this, you can connect the speakers to the computer. If you decided to connect the column "5 and 1", will involve several nests. Take the signal cable from the speakers (green). Connect the cable in connector audio out (green) on the rear panel of the system unit. Turn your speakers to the network and check the sound. If no sound, go to control panel. Find sounds and audio devices and under audio turn it on. Check multi-channel support sound card for the computer, if you want to connect the speaker system to the "5 and 1". To connect the speakers to the computer, ideally need 7 connectors: line in, line out, microphone, rear speakers, a subwoofer and two digital audio output. But if your computer is modern enough, you can connect a speaker system in other ways. Connect the cables to the appropriate connectors (focus on colors) on the module's volume control. Connect the power, speakers, subwoofer, observing polarity. As a result, all connectors on the module should be involved. Connect the cables to the ports on the computer to match the colors (green, blue, or black, orange or yellow). This decision will be inconvenient if you will have in the future to connect a microphone to your computer. Then you will have to disable the whole system acoustics. Connect the cable for the front speakers to the green output. The cable for the rear speakers connect to the blue connector. Cable from the subwoofer to the pink entrance, which sometimes connect the microphone. Configure the computer by selecting 6 channel mode. Many people use the computer as a musical center: it can be used to listen to music from CDs, download it from free Internet resources or simply listen to Internet radio. You can use headphones, a special external computer speakers or built-in (in some laptop models). However, this interface does not satisfy the avid music lovers: the perfect sound is obtained only when using professional music equipment. So many users connected to your computer speakers from the music center. cord cinch connecting the music center with speakers and a computer ("Tulip" is the common name for this interface, it is familiar to all sellers of audio equipment, computer accessories and radios). Cord-cinch can be bought in specialized stores in the sale of computers, household appliances, electric and radioinstrument in some music stores. 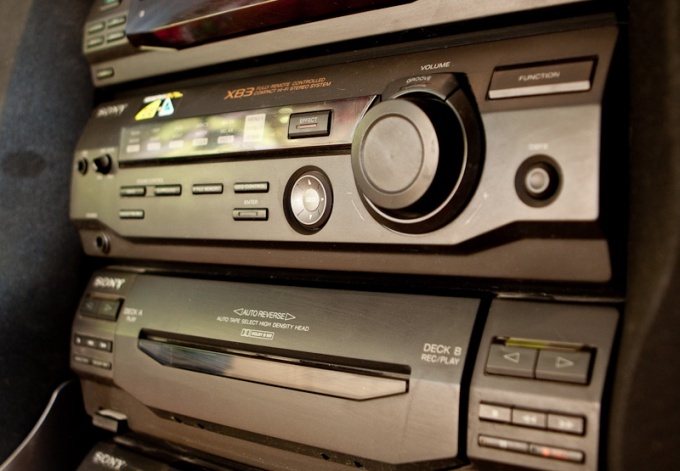 When buying, you must know the brand of your entertainment center because the cord connectors are to be matched precisely for the size of the musical equipment. It is important to note that most often connect to the computer not the speakers, and music to connected speakers. With one end of a cord-Tulip is inserted into the entrance of the music center (it is unique to each manufacturer, its location depends on specific model of the music center). A second connector cord-Tulip has a standard output: the same as all headphones, computer speakers etc. you want to insert It in a special place on the computer used to log headphones. When you use this cord, built-in computer speakers are automatically disabled. After the musical center is connected to the computer, from the menu select tape a special feature that allows you to play audio from external devices. Usually, it's the same button, which turns the sound from the TV. Now you can listen to music! Some sellers recommend an improved cord-cinch with gold plating. 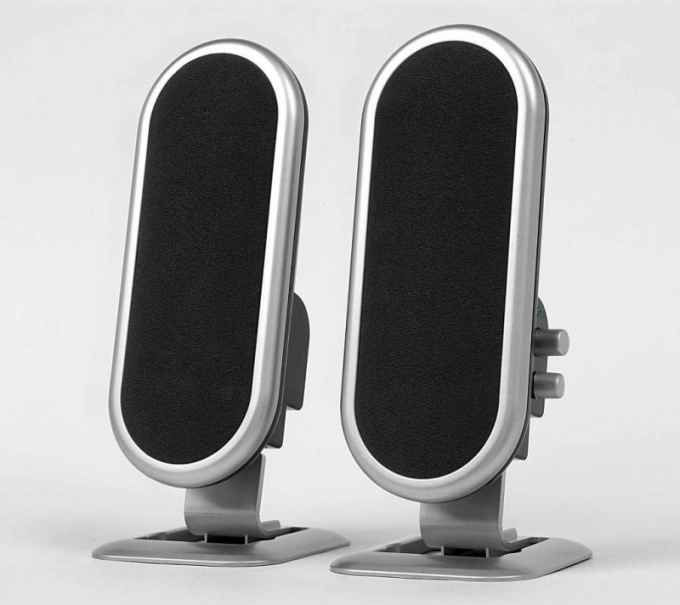 They argue that it is this type of conductor allows you to play music without extraneous noises. This quality, of course, is much more expensive than conventional wire. But beware: gold plating really has a positive effect on sound quality, but to distinguish these nuances is possible only when using special professional techniques. At home the difference will be imperceptible, and the overpayment is significant. 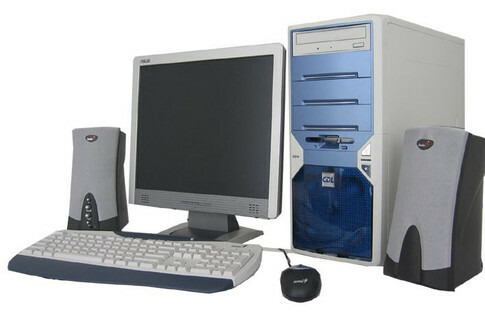 The computer is a multifunctional device that can replace and TV, and music centre. In order to use a PC as a music centre, it is necessary to connect powerful speakers. If you buy to a PC, good speakers and a subwoofer, as the sound of music will be at least not worse than in good music center, and even better. Besides computer enables more fine tuning of the sound. - CD with software for your sound card. Stage audio speakers where they will be located. Not recommended to put them too close to each other. Connect speakers to the audio input of the computer, and then to the mains. Drivers do not need to put. As soon as you plug speakers into the computer and turn them in the socket, the operating system recognizes them and they will be ready to work. If you have not installed additional software to the sound card, it is recommended to install it as it can help you significantly extend the capabilities of acoustic systems. If you have an integrated sound card, the software to it comes with drivers. If you bought your sound card separately, with it included should be a software CD. The procedure for connecting audio speakers to your laptop is a little different from connecting to your home computer. Speaker system laptop need to connect depending on its interface. There is a columnin which the connection interface is the same as in the headphones. In this case, simply slide these speakers into the headphone Jack. Built-in speakers of the laptop will be blocked, and the sound will be transmitted through the connected speaker system. Also provided for laptop speakers with a USB interface. Before you connect these speakers to your laptop, install the software from the disk that came with them. Now connect the speakers to any USB port, then the previously installed software will automatically adjust their work. Notice "your Device is connected and ready to work" would mean that the process of setting up the equipment was completed. On one of the columns there is a button. Click on this button. Now they are fully prepared to work. 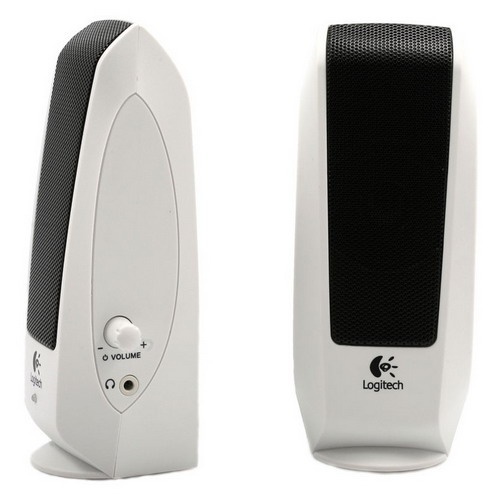 As the sound device on the computer can be used not only specially bought for this purpose, computer speakers. Suitable, in principle, any audio system, including speakers from the music center. Prepare to connect the appropriate cord. If at the music center interface audio input (often it is called Aux) sockets of type a Tulip, you will need a cord with two plugs on one end and mini Jack on the other. If the connection will be made through the microphone input, you will need a cord with plugs mini-Jack on both ends. In some models of musical centres can be used socket type Jack for microphone input. Insert one end of the wire into the appropriate connector on the music centre. The other end into the computer's sound card. As the connectors you want to output audio – Out. Usually on the sound card it is marked in green. Turn on the music station, the appropriate mode of operation. If you use Aux, you can activate this mode by pressing the corresponding button on the music center. To work microphone connector, typically, does not require the inclusion of special modes, however, some models of musical centres support the increased incoming through the signal connector. Set to work the sound card. Select the computer "start" – "control Panel" – "Sound". Open the section "Playback" and check the settings of the sound card. If everything is OK, you will see a green tick next to the images of the respective device. It remains to verify the implemented connections. Adjust the volume at the music center, and on the computer, start any audio file. If you connected everything properly, you will hear a music sound from speakers. Otherwise, once again check that all steps are completed and the connection of the cords, including connecting the speakers with musical center. Connecting the speakers to the computer is through an analog output on the sound card. It is important that the system was installed the sound driver and configure settings of sound, otherwise play the audio files will not work. Check if the system sound drivers. Go to "device Manager" (right click on "My computer" - "device Manager"). If in the opened window, a missing component of the tree "Sound, video and game controllers" or in this paragraph do not specify the model of your sound card, then the drivers are missing and need to be installed. Find out the model of your sound card and the manufacturer name. The marking may be printed directly on the card itself. Its name can be specified on the panel where is located the audio outputs. The model can be specified in the documentation for the computer. If identifying the manufacturer and failed, install free CPU-Z utility, which will test your hardware and show the name of the sound card. Go to the card manufacturer by entering his name in any search engine. Download the latest version of the software. Install in accordance with the instructions of the installer and then restart the computer. Plug the plug the audio output of the computer. Usually the hole for the speakers is green, however, depending on the model and manufacturer of the motherboard it may vary in color or position on the panel computer. If after connection dialog box opens to specify the type of the connected device, select "Speakers". Test the sound. If the sound still does not work, check the volume settings of the system. Go to control panel sound card and change the item "Speakers" to "Headphones". Check whether the hole of the connected speakers is fully plugged plug. If you want to connect another pair of speakers, you need to check whether it is the sound card. To do this, look for the appropriate menu items in the control panel of the driver (for example, "2CH speaker"). If this option is available, simply plug the male plug of the second speaker to the second outlet. 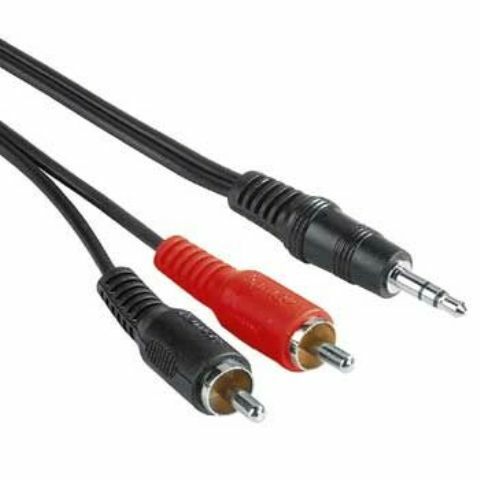 Otherwise, you can purchase a splitter for the 3.5 mm Jack hole in any shop of the radio goods.